START YOUR WEST VIRGINIA ADOPTION. We make the adoption process in West Virginia simple, fast and affordable. Now you can complete your stepparent adoption in West Virginia without having to pay high attorney fees. We make it possible to file and your own adoption. We never sell "automated" adoption forms, only documents prepared by an experienced adoption specialist. Our experienced West Virginia adoption team will review your information and prepare adoption papers specifically for your situation. Adoption specialist for West Virginia handles your case. We stay with you through the entire process, to help guide you through the West Virginia adoption process. 100% Court acceptance in the West Virginia adoption/Probate Court. Information on filing an adoption in West Virginia. When we prepare your West Virginia adoption papers, we will include all the provisions specific to your situation. Documents we prepare for one family will be different than the documents for another family, because circumstances are different. We ensure that your adoption forms are ready to sign and file with the court in West Virginia. Whether you are filing a stepparent adoption or an adult adoption, we will be able to help you get your adoption finalized. You can complete your West Virginia stepparent adoption. We prepare your legal forms and help you through the adoption process. You must be a resident of the State of West Virginia for 6 months prior to filing your adoption. The adoption is filed with the Probate Court in the county where you reside. In West Virginia, if the child is 14 years or older, the child will sign a consent to adoption. No matter what your situation may be, we have the experience to help you complete your adoption. A stepparent adoption in West Virginia takes approximately 3 months to be final. Once completed, the child will receive a new birth certificate showing the child's new name and the new parent. Adult adoptions in West Virginia are very simple. As an adult, the adoptee can decide on their own that they want to be adopted, and they don't need the consent of the biological parent. An adult adoption can be finalized as soon as 45-60 days. West Virginia courts approve our adoption forms. You can file with confidence. 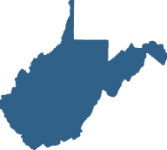 West Virginia Stepparent & Adult Adoption. We understand what the courts need in West Virginia to finalized an adoption, and will make sure that you have everything you need to have your adoption successfully processed and finalized by the court. To get started, click the buttons our site that says "Start your Adoption". This will take you to our questionnaire which provides our legal department the information needed to complete the legal documents for your West Virginia adoption. Once you submit your order, our team will prepare your West Virginia adoption forms and send them to you ready to sign and file with the court. Then our support department will stay with you through the entire adoption process. We have helped thousands of families successfully complete their adoptions. Whether it is a stepparent adoption or adult adoption, we can make it possible for you to complete your adoption without having to pay high attorney fees. No matter your situation, whether the father's identity is unknown, or any other issue, we will be able to help guide you through the adoption process in West Virginia. Our online questionnaire provides our legal department with the information we need to prepare you West Virginia adoption forms. Our experienced West Virginia adoption team will prepare your filing documents and send them to you ready to sign and file with the court. SIMPLE 3-STEP PROCESS: Complete the questionnaire, then review and sign your West Virginia adoption forms, and file with the court. Our step-by-step instructions will help guide you through the process. With more than 100,000 court document prepared over the past 20 years, we have the experience to make sure your West Virginia adoption papers are correct.